For a business you must understand the laws in your area about licenses, taxes and insurance. Learn it. Not the fun part, but a necessity. Talk with suppliers, get them off the internet and make a phone call, always tell them you are new and have lots of questions, they have products to sale and they will help you. A list of questions always helps with this, email off a few questions to suppliers and adds your name and phone number and they will call you, outline times that are the best for them to call. 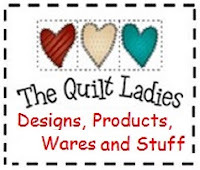 My business is a quilt shop. Idea’s to get my message out. I called on rental space – this one can be hard. And as you will learn later on. Don’t tell too much. You are just inquiring and not renting today, “I maybe wishful thinking.” Ask questions, let them talk. And always, call twice, I would call and then I’d have my husband call a couple of days later, to see if we received the same information. Talk with your area banker about an SBA loan, this can be a long process and what you will learn, is to save all you can up front. I took a class at the community college, “How to get a SBA loan.” It was one evening and just the handouts were worth the small cost and time of the class. Area Colleges are a wealth of information, take classes, on writing, photography, and web design. Learn what you need to make your business the best. Money – your budget for each item, employees, training, travel, clothing. Insurance – Medical- property – liability. Make the phone calls, do the research, make a 100% smart decision. Do you want to work from home? Can you? Do the numbers. What are your weekly costs of going to work? You will need support, not just financially, but you will need a way to keep medical insurance going and put groceries on the table, be realistic. Do the numbers, factor in partners income also. Take one night class, can you do it? Can your family do this? Will your present company help with tuition? Put together a plan of action, baby sitters for children, budget cost, meal preparation, sounds strange, but everyone still need to eat and you need to read four chapters and do a presentation for the next day. Can my idea move forward? Great info. Thanks so much for sharing with Adorned From Above's Link Party. Look for the new party up tonight. Great information, I wish I had this years ago, when I decided to stay home with my children! Thanks for linking up to Awesome Life Friday!